As any veteran of the line will tell you, it takes more than some cash or a credit card to buy Supreme clothing. 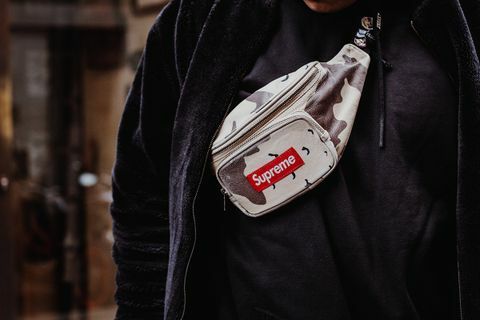 Though it’s true that Supreme has always been a brand defined by scarcity and hype, in the past 10 years the long queues that snake around the brand’s flagship stores every Thursday have more and more embodied the challenge of buying Supreme. 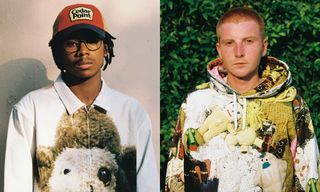 Even back in the days before Supreme blew up into a global megabrand – before Europe even had a Supreme store, for example – getting hold of Supreme clothing required strategy. And though you now have a much greater variety of choices in terms of where to try and buy, it’s no less of a challenge to get hold of the latest drop. 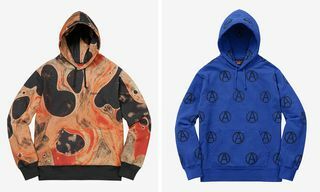 It’s true, between the Supreme shops, online store, resellers, auction sites, forums and Facebook groups, it’s no longer the end of the world if you can’t get to a brick-and-mortar location on a Thursday, but each new avenue presents its own set of problems. With that in mind, here’s a comprehensive guide on when, how and where to buy Supreme clothing. Well, as comprehensive as I can give you without having a mental breakdown from typing the word “Supreme” over and over until it loses almost all meaning. 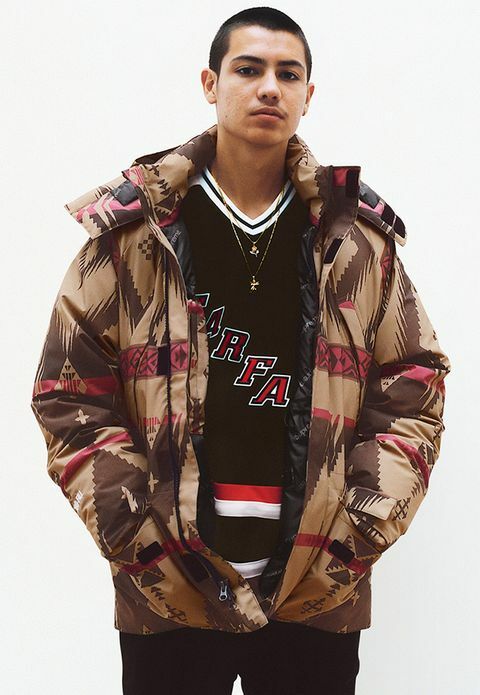 Supreme releases two collections a year – one for Spring/Summer, and one for Fall/Winter. Before the launch of each season, they put a preview up on their website listing (almost) every item that will release. 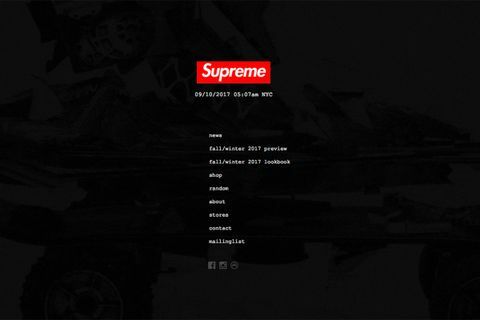 You can view this by clicking the “preview” link on the Supreme website at any time. 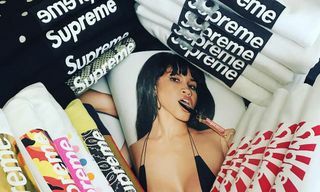 Beyond the main collection itself, Supreme also regularly releases collaborative product throughout the season, such as skateboards, clothing, accessories, footwear and more. 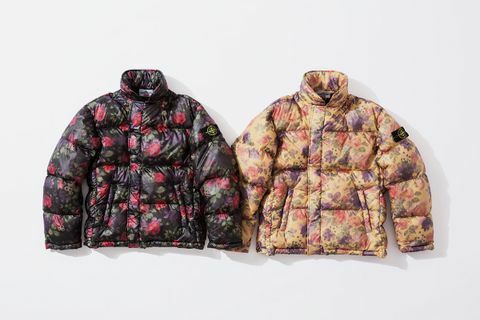 Some of these, such as their collaborations with The North Face, Nike, Vans, and a number of contemporary artists, are often the most hyped, and hardest to get hold of, out of all their releases. Special product is released almost every week during a season, and is usually announced on Mondays via the brand’s “news” page. However, in recent years Supreme has taken to announcing more hyped collaborations as late as Wednesday evening, the night before the drop. This is possibly to try and deter people from camping outside the store for days before a release. Long story short, if you want to stay on top of special releases, stay on your toes. How Do I See the Supreme Drop List for This Week? A few years back, the only way you could find out what was releasing in the Supreme store that coming Thursday was to phone a store directly, ask, and hope you got one of the friendlier members of staff who would tell you. Fortunately, nowadays there are Instagram accounts dedicated to providing up-to-date information about the latest drops, and we even have our own feature here at Highsnobiety to put all the information in one place. Hey, don’t mention it. Let’s start with the most obvious route if you want to buy Supreme clothing – but by no means the easiest. Collections launch a large initial drop on a Thursday, followed by an online drop the following Thursday. After those first two weeks, a new selection of pieces will release every Thursday at the Supreme store. The initial challenge of buying from a Supreme shop is the long lines you’ll have to endure to even get your foot in the door. 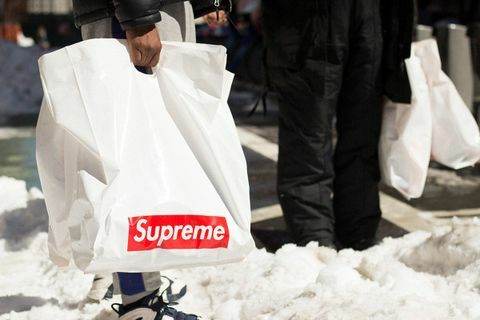 Supreme drops attract huge numbers of people, and unless you’re well-connected or part of an organised group, you’ll probably struggle to get in before the hyped items sell out. And though items occasionally restock when things calm down a few days later, in recent months the New York and London flagships have been busy all week round. 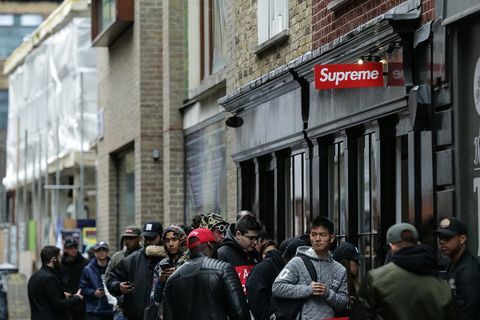 Not only that, things appear to have complicated even further; the Supreme London and New York stores have apparently begun operating a “pre-queue” system, where customers have to register to an anonymous mailing list, and head to a separate location on Mondays to claim a position in the Thursday line. 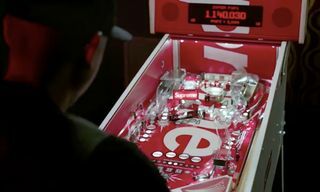 It’s not clear whether this system has been implemented at all Supreme shops, but if the brand’s popularity continues to grow as it has done, there’s no doubt it will be rolled out further. When does the Supreme Store Open? During each season, Supreme’s New York, Los Angeles, London and Paris stores open from 11am to 7pm on Monday to Saturday, and from 12pm to 6pm on Sundays. In Japan, every Supreme location is open from 11am to 8pm, 7 days a week. In the space between one season ending and another launching, the Supreme store will be completely closed and covered up as they prepare for the next season’s launch. If you don’t live close to a Supreme shop, your only other official option is to try the Supreme online store. Drops take place every Thursday, like the stores, with drop times taking place at 11am (New York time for the USA and London time for Europe). Though you won’t have to struggle with long lines and obstacle courses, the online store presents its own set of challenges. In recent years, buyers and resellers alike have been using custom-made shopping bots to make purchases in seconds. During Fall/Winter 2017, a number of items have remained available for up to a few hours after release, suggesting Supreme has upped its production numbers, but when it comes to coveted releases such as box logo pieces, or collaborations with Vans and The North Face, you’re not going to have any luck without a bot. Here’s a guide to buying hyped Supreme pieces online. • eBay: By far the largest and most popular platform, you’ll often find eBay filling up with new product within minutes of it being released. Thanks to eBay’s auction system, you can sometimes luck out and get rare old pieces for a bargain, but for the most part, you can expect to pay a premium price for anything hyped. 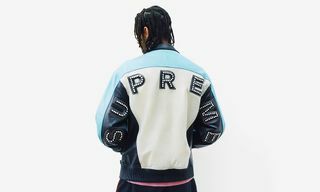 Still, because eBay is the oldest out of all the platforms, a lot of the Supreme resellers on there are very established and dependable, so if you want to buy Supreme clothing with as little hassle as possible, this is the one for you. 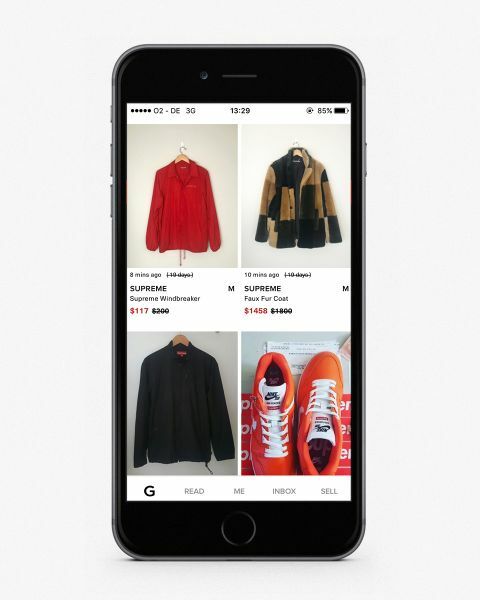 • Grailed: A relatively new platform, Grailed is a reselling website specifically designed for fashion and streetwear. Unlike eBay, pieces on Grailed are listed for a set price by the seller, who can choose to gradually lower the price if their item isn’t selling. Sellers are sometimes open to negotiating on the price, but don’t make a habit of “lowballing” (offering a much lower price than what the seller is asking); you’ll only end up annoying people and getting blocked. 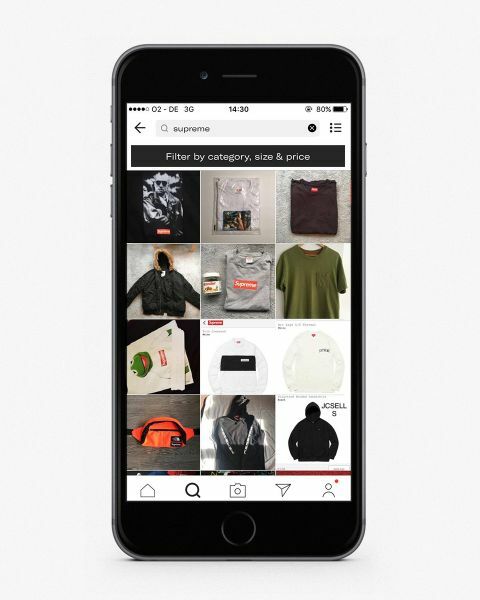 • Depop: Another new platform that’s proven very popular due to its smartphone app, Depop is essentially somewhere between eBay and Instagram, letting people create a profile and sell their product on an image grid that closely resembles the popular social media app. Buyers can either buy with the click of a button, or negotiate with the seller via private message, but the same rules apply; feel free to haggle, but don’t push your luck too far. 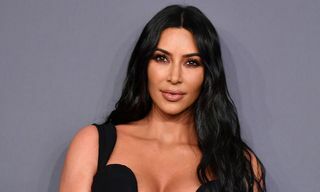 • Forums: There are a number of old school message boards and forums where people still sell and buy Supreme clothing – most notably sites like KanyeToThe. They’re fairly rudimentary in their operation, with sellers making threads offering their items for sale, and then negotiating over private message. By nature of their small community set-up, there’s often a smaller selection of items for sale on these forums, but the plus-side is the tightknit atmosphere means members are often willing to sell for lower prices to people within their community. • Facebook groups: The rise of Facebook community groups such as “SupTalk” and “The Basement” has birthed a huge reselling culture on the social media site that closely resembles the message boards that preceded them. Again, the community aspect means people are generally civil and polite to each other, and your interactions with the group will typically go far beyond purchasing product. • BigCartel & Online Stores: Another relatively old-school model, a number of Supreme resellers operate out of DIY online stores set up via BigCartel and similar services. No Apologies, for example, is an Australian-based online store that often gets hold of very rare old pieces, as well as holding raffles giving people the chance to win hyped Supreme pieces for a fraction of their resale price. • Yahoo! JP Auctions: While the west has eBay as its number 1 auction website, over in the east they use a similar platform run by Yahoo!. Yahoo! JP Auctions is almost identical to eBay; the big difference is obviously the prevalence and popularity of streetwear in Japan. Combine this with the Japanese penchant for keeping everything mint condition and staying up-to-date with the latest trends, and you get a resale market full of virtually-deadstock streetwear grails. The downside is that buying from outside of Japan is very difficult. You’ll need a “proxy” – someone who lives in Japan who can buy the piece for you, deliver it to their home, and then ship it on to you. If you’re not sure how to work around it, then stick to eBay and Grailed. Regardless of which platform you decide to purchase from, there are a few important rules to remember. If paying with PayPal, always make sure to either pay through a proper link when using eBay, Grailed or Depop, or if purchasing through a Facebook group or forum, always make it clear that you are paying for goods or services. NEVER send money as a gift – you won’t be protected if your item never arrives, and it can be almost impossible to get your money back if someone scams you. Also, remember to be wary of fake and counterfeit product; many of the forums and Facebook groups will be glad to offer “legit check” services if you can provide detailed images of the item you’re purchasing. If someone tells you to stay away, 99 percent of the time they’re giving you good advice. How Do You Perform a Legit Check on Supreme clothing? 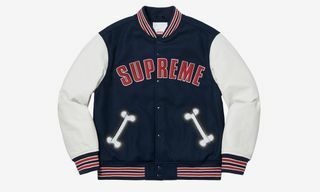 Depending on what specific item you’re checking, there are a number of tell-tale signs that help you work out if a piece of Supreme clothing is real or not. Their basic graphic t-shirts, for example, have a distinctive neck label with a number of traits; a contrast thread on the edges, a Supreme “hologram” on the reverse that’s only visible under bright light, a contrast thread at the edge of the label, and other particular details such as specific fonts and logo positioning. There are similar details for almost every Supreme item. Your best bet is to join one of the bigger Facebook groups and spend some time reading through discussions about other pieces. Over time, you will get an eye for a real piece of Supreme just from the fabrics and other elements, but if you’re not confident that you can confirm a piece yourself, then defer to someone with better knowledge. And if you’re not sure if something’s real before buying it, save yourself some time, money and energy – don’t buy it. Will resellers feel the burn from The Caryle Group’s investment in Supreme?